Clarion Head Units - Are semi & full mux units the same? As title. I'm trying to find out because the original in my bro's X-reg semi-mux exec has died - smell of burning / smoke / lost half of the display on the MFD, sound distorted or off altogether. I've checked all the voltages etc. on the power connector, everything's correct and it has a good earth / fuses OK. He's been searching round for a replacement, but can only find a very early D9 with a single CD slot instead of the usual exec's cassette / remote CD changer configuration. 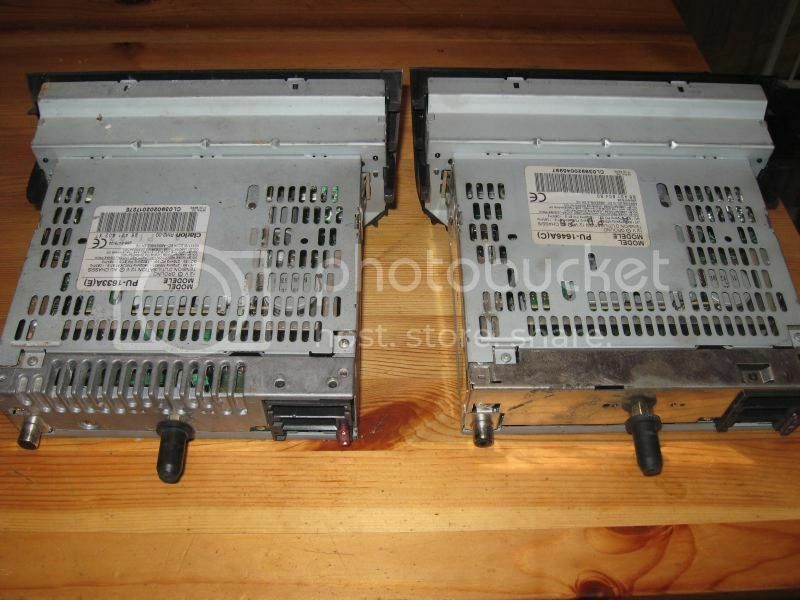 From reading the ICE section on't coupe forum, it seems the single CD ones have an integral amp so wouldn't work with the remote amp in the exec. Apparently the very last SE versions could be selected to amplifier or speaker via PP2k, but in my ignorance I never thought to check when coding the above one to his car. He's off on his annual trip to Scotland in just over a week and really wants a solution before then. Any ideas? (I looked on fleabay last night - several singe CD versions to choose from but nowt else). 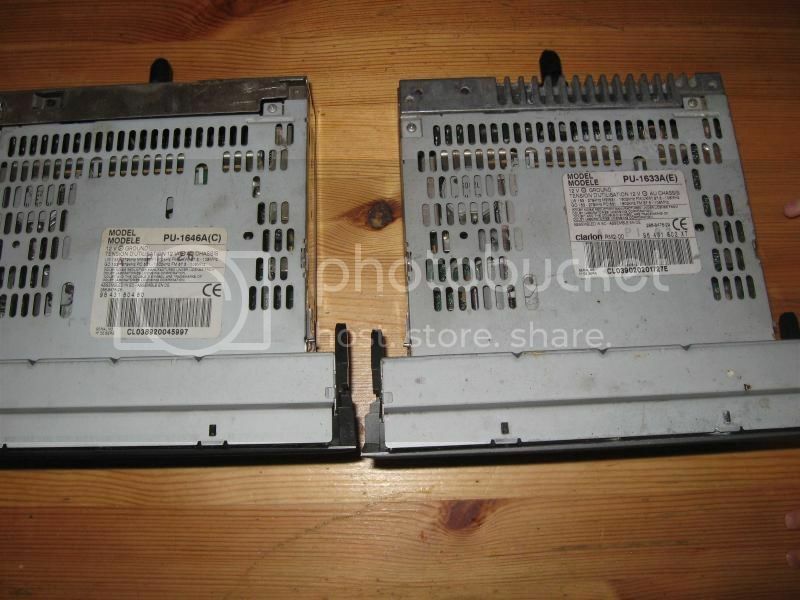 Re: Clarion Head Units - Are semi & full mux units the same? You can get the amplified output of the CD head unit to work with an existing OEM amp by using a line level conversion loom plugged into the output of the HU to drop the levels right down so that the amp can handle them. Thanks for the info guys, he's gone for a spare from Ade the coupe breaker. Should be here Tuesday. I didn't realise that my bro's car didn't have a separate amp, (and by pure coincidence the unit fom Kelv's previous donor car was the same). So the unit Ade sent wouldn't work - only half the buttons on the front actually did anything, then we discoverd the number '5' button was stuck in, with evidence of previous attemps to unjam it. When I called him back about this, he sent me a replacement straight away, you can't fault that for service. The first unit from Ade worked up to a point, (radio, cassette and CD changer), but had almost no volume, (which ought to have been a clue). You can probably guess the rest by now - second unit turns up in perfect working order, and also has almost no volume. Then I realised that if you look at the two units side by side AFTER engaging the brain, some differences are apparent. The amplifier heat sink at the back, together with 10A fuse instead of 3A, ought to have been a clue. Watch out for the next thrilling installment. Seems I'm back to looking for a 99-01 exec without an amplifier. Sorry for the hijack but do you know if I can swap the front sections over and not have to bother with the vin coding? My knob is a bit worn and the unit from my breaker is in much better condition. Unfortunately I don't think either will fitbyour brothers motor tho. I rubbed my knob until all the flaky stuff came off in my hand, now I have a smooth shiny knob. I did take the front off the spare to see how easily they come apart, it was only whether I'd need to fire planet up for the VIN code bit if I'm just changing the Facia part I was concerned about. Good to know you've got the unslightly flakey bits off your knob tho Kelv. Not sure I fancy sitting alone in the car rubbing my knob so I may get my passengers to give it a little rub while I'm driving. Just hope it's not too distracting! This ought to have 'aroused' puggy - hope he's OK? FWIW, I've now got more flaky knobs than you could point a stick at. 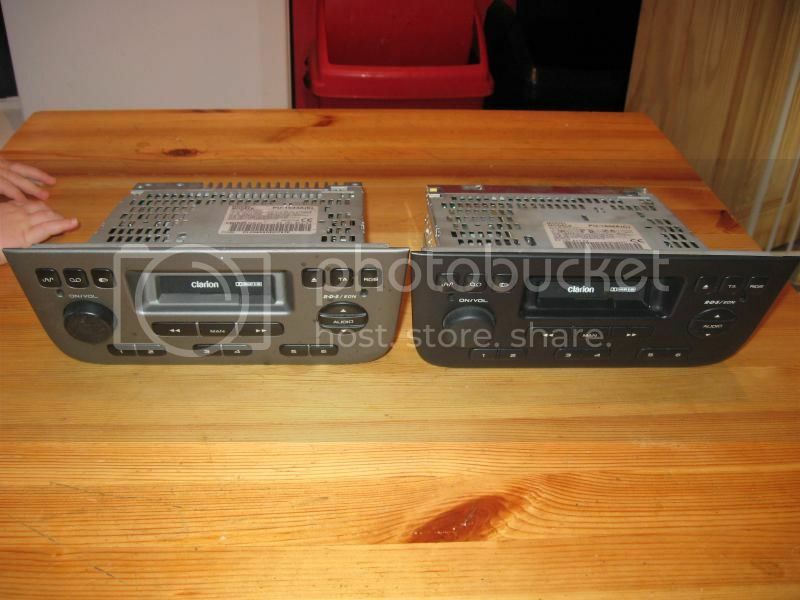 VIN not required, I put my old black front onto my silver fronted radio no problems..